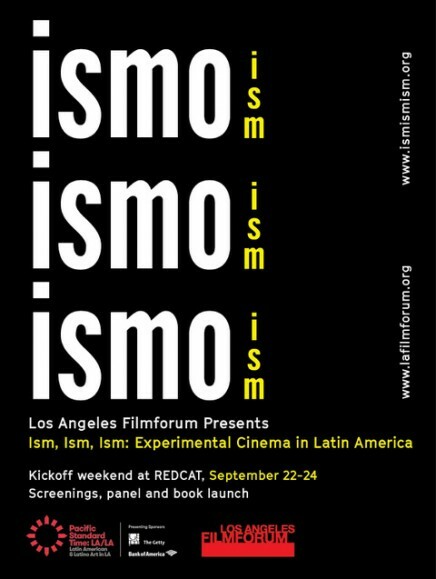 Filmforum is proud to be in the center of the cultural programming of a city with a rich history of avant-garde filmmaking and programming. Now in our 43rd year, we celebrate personal, hand-crafted and non-commercial work. Read more about our various programs, purchase tickets for upcoming screenings, explore our archives, or learn more about volunteering or making a tax-deductible donation on our newly remodeled website! In conjunction with the exhibition Unraveling Collective Forms at Los Angeles Contemporary Exhibitions, Filmforum co-presents beautiful digital films by artists Cecilia Vicuña, Jeannette Ehlers, Arshia Haq and Sky Hopinka whose work are on display in the show. Kevin Jerome Everson is one of the most prolific, important experimental filmmakers currently working. We're delighted to welcome him back for two shows of new and recent works. Los Angeles Filmforum is delighted to welcome back Everson with the second program this week of recent works by Everson, including many premieres, with the artist in attendance.